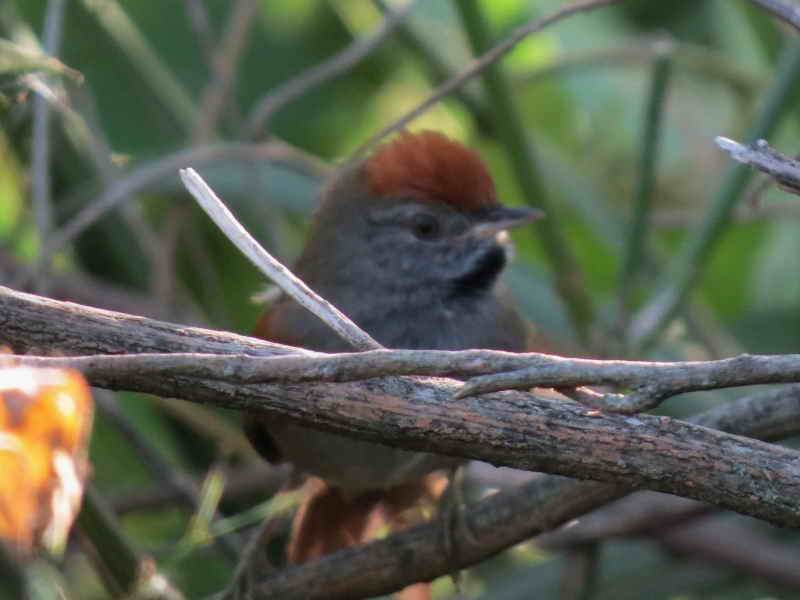 These spinetails are difficult to see. They restlessly move in the bushes which prevent a clear sight of them. With luck they expose for a little while. Their voices will certainly announce their presence. As voices are very different we will know whether it is the Spix's or the Sooty-fronted Spinetail. But if there is no voice one must be careful not to confuse them since they are very similar. The crown is one of the keys to bear in mind. 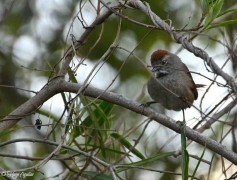 If the rufous colour of the crown also covers the front, it is the Spix's Spinetail. If the front is grey instead, it is the Sooty-fronted as the name indicates.